Earlier this week, Project Coordinator Mahdi Lafram wrote about the Environmental Youth Ambassadors' trip to London for the Conservation Optimism Summit. 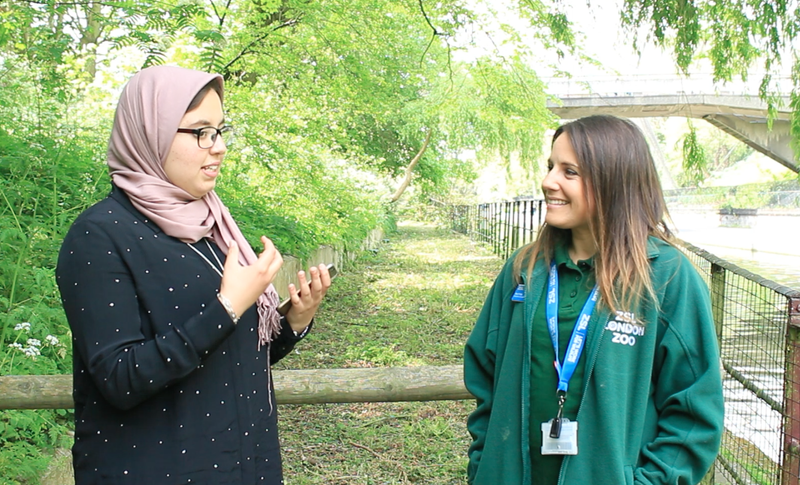 Today, his colleague Salma Edrif discusses another of their UK projects: Teaming up with the Education Team at the Zoological Society of London to produce more original videos. Most of the conservation conversation is unfortunately available only in English, limiting access to its content for non-English speakers. 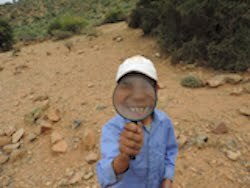 Our Water School project’s main goal is to introduce the children of rural Southwest Morocco to global environmental issues. 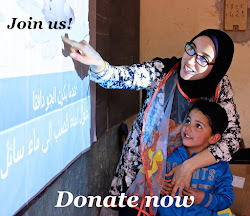 The curriculum, which we've published open source in Arabic and English, is delivered by our amazing teacher Fatiha in the main language spoken by local children, Tachelhit. We believe this is critical in making local communities feel as though they have a stake in environmental issues, valorising indigenous languages and cultural diversity, and engaging children in learning. After attending the Conservation Optimism Summit in London, Dar Si Hmad’s Environmental Youth Ambassadors visited the ZSL London Zoo on the 23rd of April to create additional visual content about conservation work. 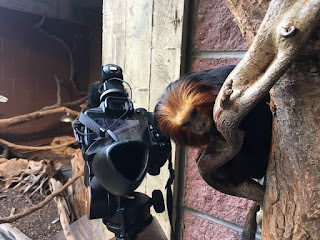 The team spent a full day interviewing zoo employees, filming various animals in their habitats, and presenting the Society's conservation efforts. These films are being edited by the EYA Team now and will be published in Tachelit and Arabic - bringing the great work of the ZSL London Zoo's conservation and education to local Moroccan communities so they can be a part of the ongoing effort. I got the chance to interview Andy and Ana, members of the Zoo's presentation and education teams. First, Ana walked us through a typical day of her work in the zoo. 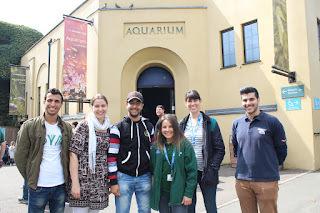 As a part of the ZSL Education Team, Ana is in charge of coordinating visits with local schools and serving as a tour guide for children. The Zoo offers a variety of educational workshops that include nursing and feeding interactions with animals, conservation education, and animal biology. Then, Ana introduced us to her favourite animal in the zoo - the seahorse - and talked about its natural habitat and where it can be found around the world. Next, Abdelhaq accompanied Ana to the Zoo's indoor rainforest, a recreation of the sloth's home. Anna welcome the Water School kids to the Amazon in her native language, Portuguese, and then Abdelhaq asked Anna in Tachelhit to talk about the special features of this 'lazy' animal who has evolved to sleep nearly twenty hours a day. The two sloths slept through their 'interview' with the EYAs, but one of them did wake up later that afternoon for feeding time - so we captured some of his verrryyyy sllooooowwwww movement on film. Our camera was also visited by a curious colleague of the sloth (a golden-headed lion tamarin), who wanted her turn in the spotlight! 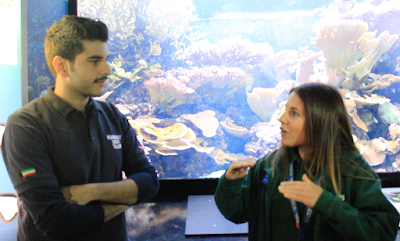 In the Zoo's Aquarium - the first ever in the world - our partner Hamad from the Kuwait Dive Team spoke with Ana about coral reefs, the bleaching of these amazing habitats caused by climate change, and how we can help protect our ocean. Our trip there made national news in Kuwait. Moving across the world to Asia, we met Andy. 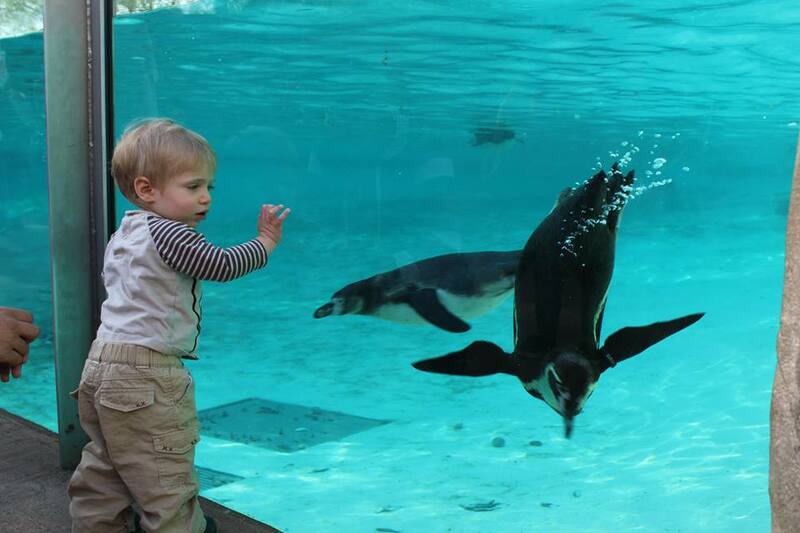 Andy’s job at the zoo is to give live educational presentations to visitors. After I interviewed him about Asiatic lions - a close cousin to Morocco's national animal - Andy changed into his ranger clothes and pretended to be an employee of Sasan Gir, a forest in India where lions live. Using a unique animatronic model, Andy and his team gave a live simulation of rescuing a lion found injured in the park. 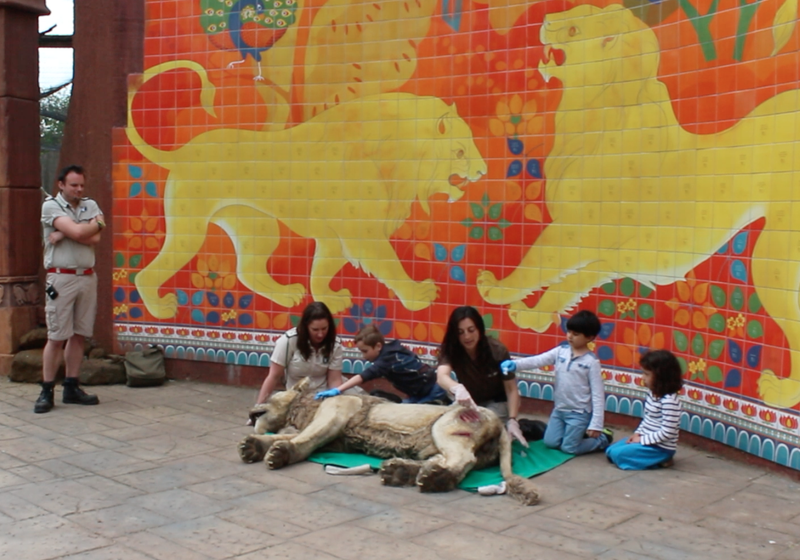 Children visiting the Zoo to learn about lion conservation got to help perform first aid on the full-sized 'lion' and heard about how he would be cared for. South of the Equator, we visited Penguin Beach, where Andy talked about the amazing birds that swim and don't fly. His talk gave us a lot of great ideas about how to teach adaptation and evolution to our Water School classes - and of course it was great fun to watch the penguins dive for food! At least, our youngest research partner Rafael certainly thought so. The Environmental Youth Ambassadors also filmed videos talking about their favorite animals. 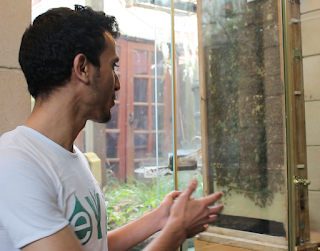 Mahdi visited the BUGS Building to pay homage to one of the world's most crucial species: bees. Mahdi talked about pollination and how important bees are to in plants' reproduction - and our own survival! Meanwhile, Hamad and I explained how the radar technology submarines and satellites use is inspired by the incredible adaptation of nocturnal bats. Just like our fog-harvesting project is inspired by an insect's clever wings, the natural world has informed so many of today's greatest innovations. Copying animal adaptations and environmental systems in engineering is called biomimicry, and it can be seen everywhere...in transportation and agriculture, swimming suits and children's games. Nature is our greatest teacher - and that's what the ZSL Education Team and Dar Si Hmad's Water School are all about.